The narrative of the underdog is deeply ingrained in sports culture. Having a player or team come from seemingly nowhere to set records, win championships and capture the hearts and minds of fans is what makes sport such a passion and inspiration for so many people. Jaroslav Halak knows this story quite well. The Slovak native was a key member of Team Europe at the recent World Cup of Hockey 2016, a team that defied odds-makers and experts to challenge the world hockey superpower Canada for the World Cup of Hockey championship. Recently, Halak penned an article on his Team Europe experience for The Players’ Tribune which gave sports fans an inside glimpse into the culture and atmosphere of Team Europe, an experience that he and his teammates will never forget. 23 players. Eight countries. One team. 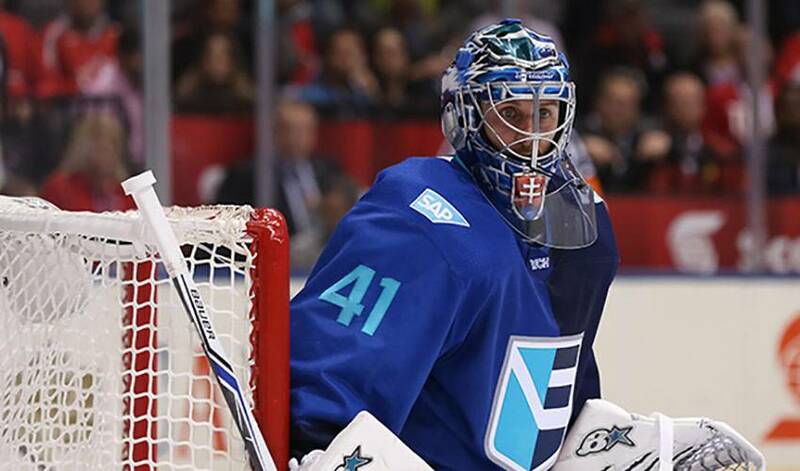 While Halak and his Team Europe teammates would ultimately fall in the best-of-three final to the Canadians, the outcome was not without its excitement and drama, and clearly left a lasting impact on all those that were a part of it. Following a stellar 2009-10 postseason run with the Montreal Canadiens, Jaroslav Halak found himself on the move this past summer.